The Peugeot 508 will be available in February coming with the price tag of over 24,000 euros. 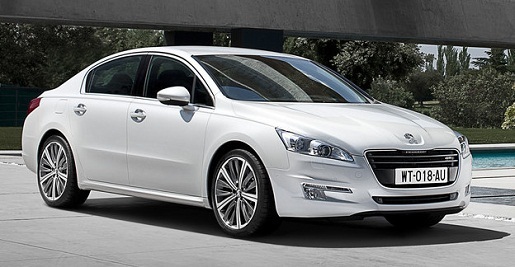 Peugeot has done everything to please its customers with this new 508 from the Lion family of cars. It is coming in dealerships in February. The new sedan replaces both the Peugeot 407 and Peugeot 607. The car was presented at the 2010 Paris International Auto Show and had seduced the public. Taking over from the Peugeot 407 and 607 models the new 508 is defined by the Lion family as a grand tourer. It has an elegant line, and displays dimensions just between the Peugeot 407 and Peugeot 607. The design of the Peugeot 508 is very neat. Yet, the company designers have cared not only about the exterior, but also the interior. This sedan offers a generous interior space and comfort, especially for the long distance trips. Depending on the options, the driver can enjoy the power seats, heads up display, multifunctional leather steering wheel, or even the CDM system, which measures the parking space and tells the driver whether the space is enough for parking. This is a great advantage as parking space is really a big problem in most of the major European cities and particularly in Paris. The price of the Peugeot 508 will start from 24,750 euros. However, it could climb above the 40,000 euros depending on the chosen options by the customer. It's certain that the design of this Peugeot 508 is very neat. In addition, the <a href="http://www.car-stuff.com/peugeotparts.htm">peugeot parts</a> nowadays can really compete with other car manufacturer unlike before.